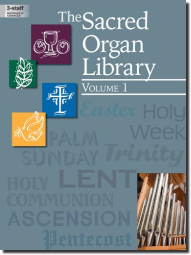 Gathered from past issues of our "The Sacred Organ Journal," this collection provides organists with a wealth of moderately advanced music to present during worship. The wire-bound format of over one hundred pages includes original works, hymn-tune settings, and arrangements drawn from the classics. The duration, suggested registration, and common usages are provided for each title.